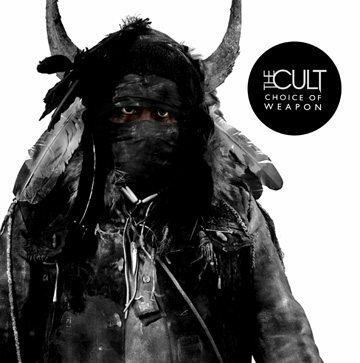 On May 22, The Cult will release their 9th album, Choice of Weapon, featuring founding members Ian Astbury and Billy Duffy, and six-year Cult veterans Chris Wyse on bass and John Tempesta on drums. While rich in lyrics and heavy in guitar, Choice of Weapon clearly defines Astbury’s mind state about life, love and loss while writing this phenomenal album. 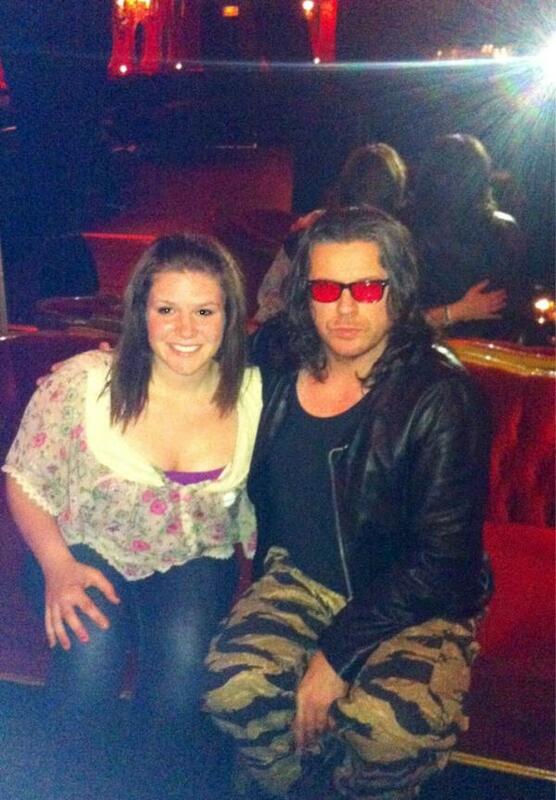 I had the opportunity to interview Ian Astbury at Cherry Cola’s Rock ‘n’ Rolla Cabaret and Lounge in Toronto Ontario. Astbury has lived a thousand lives in one. From losing his mother at a young age, to becoming an 80’s icon, then transforming himself after visiting the dark knight of the soul, Astbury remains true to his passion of music and visualization. I was especially taken aback when he thought our Mother/Daughter tag team was a “Pretty Cool” thing to be doing! It was a huge compliment as it came from someone who has been interviewed a time or two. What brings you to Toronto? Astbury: I am here to promote and discuss the new Cult record Choice of Weapon. In fact, this is the only kind of journey I’m making, outside of doing things on the phone in Los Angeles. We’re going to be on tour so we’ll hit a few places but in terms of taking a trip specifically for media, this is it. We don’t have the time but Canada is so important to us I thought I better come on my own. Astbury: I grew up in Hamilton in the 70’s. It’s kind of a bitter-sweet time as my mother contracted cancer and we had to go back to Britain. My father contracted cancer and he’s buried in Hamilton. As much as it was an incredible influence in terms of coming of age musically and culturally I’m very grateful for the time I spent for the exposure to North American culture. It gave me a different perspective on how they grew up in the UK. It served me well as a musician and artist. There’s a price to it. More will be revealed in that department. We first played Larry’s Hideaway in 1984. So we’ve had a long relationship with Canada. We broke into Canada well before the UK and America. I know the city of Toronto very well. It’s very familiar to me and I don’t feel alienated. When you asked your purpose of your visit and I kind of thought “I’m coming home”. My sister lives here, my father’s buried here and they say I’m not a Canadian Citizen. I had to revoke my non-landed immigrant status, but that’s bureaucracy for you. Technically, I should have a Canadian Citizenship but it didn’t work out that way. We have Canadian’s on the record, Bob Rock, of course and Mike Fraser, who is based out in Vancouver, Enemix Record, and Brian Allen Studios. So, we have plenty of Canadian flavour on the record. There’s a lot of the wilderness element in Choice of Weapon. When, I refer to the indigenous wilderness elements on the album, that all comes from Canada. Being exposed to indigenous culture at 11 years old and having a veracious appetite to learn about the philosophy and perspective that really began taking me away from a Christian upbringing. I think it started to connect me to Joseph Campbell and people like Jim Morrison. In the research that I’ve done, I see that you have a strong Buddhist faith as well. Do you see yourself, when you say “that’s it for the music and tours”, do you see yourself getting out of Western Culture? Astbury: Is that my escape plan? I ran the scenario in my head many times but I have a lot that keeps me in the West. My relationship, my children, my music, my band, still observing the culture and the continuing incongruity and politics and the arts still keeps me in the game, I still feel tied, that there’s work to be done here. I feel qualified in the sense that when you know, again referring back to my family, losing my family because of an industrial capitalist society both my parents contracted cancer in Hamilton Ontario because of the steel works. The destruction of my family was directly linked to an economically driven macanation. So speaking from that perspective, I feel qualified. Astbury: Culture really focuses on the eternal fountain of youth. It’s amazing what one can do to your body with surgery and diet pills etc. I’m turning 50 in the next few weeks; still, I don’t feel any different. I’ve had a few bangers, a few knocks. I’ve had major hip surgery; I think that may be one thing is that I have a better command of the craft. You stated in a recent interview, “Choice of Weapon is about going through a dark, self-destructive period of my life, where I definitely lost my way,” I know from my experience that when I have visited the dark knight of the soul, I ended up coming out with more clarity than ever before. Do you feel like you had an epiphany like this? Astbury: It wasn’t intentional that I found myself in that particular mindset and I found myself in a situation where I’m pretty much had….I think it was possibly going to the East and then coming back and I couldn’t turn it off. I wasn’t able to reconnect. I couldn’t reconnect with the World. I didn’t care anymore. I didn’t care about being competitive, being a musician, in an industry…all that wasn’t important to me. The level that people communicate and operate I felt was very cynical. I couldn’t get my feet on the ground. There were so many things going on in my personal life and things within the band. I kind of walked away from Ray and Robbie (of the Doors). It was a huge moment in my life performing with those guys. It was a huge hole not performing that work anymore. As well, the culture shifted abruptly where people say “What did you say your name was?” And I’m in New York which is brutal and it’s very unforgiving. I had to go to ground and really rebuild myself. I remember spending some time with a monk walking through the streets of New York asking the question “How do I get through this period?”. Astbury: People talk about meditation like it’s some sort of esoteric activity. It’s basically grounding yourself and you’re not in that kind of neurosis or mind constantly. The idea is to stop thinking. It’s about being present. You can’t stop thoughts, thoughts are thoughts. Thoughts just emulate but if you try to be in a place where things just do get quiet. Then you get into transcendence, your own language, phenomenal beyond language and experience. We’re all there, it’s not something, and it’s not separation. We’re not separated; we all are the same mechanism. It’s just plugging in and expanding consciousness. With that you get to see things in a better perspective. With that, I had a better perspective of my place, finding a place for myself again. There is a redemptive quality to Choice of Weapon. I absolutely love the album…. Astbury: Thank you so much. I went about as far as you can go. I looked over the edge and (whistles). A friend of mine killed himself while I was making this record. That was intense; it was like… it could have been me. I dunno, you find yourself there, it’s not by choice. There is death by misadventure, no doubt. You read your biographies on romanticized, maybe like Jim Morrison, and you get caught up in that lifestyle and realize that it was very different. I’m sure Amy Winehouse’s parents would prefer to have their daughter rather than the myth or the legend. When Whitney Houston died, the drug store already had her records out there two days after she died. iTunes bumped up the price of her records by three dollars. You become an object so it’s a path and a choice you make. So coming through this now, the record is authentic and comes from a real place. If you like guitar music, it’s very strong. It’s authentic and cinematic. I say cinematic because it has a wide-screen letterbox feel to it. It’s very visual. I love working with visual elements. When I’m writing I’m very visual. The experience comes and I am kind of a visual person. Morrison was very visual in his work. Patty Smith is very visual. Nick Cave is very visual. Leonard Cohen is very visual. Those are the writers I aspire to be and I’m inspired by. I grew up with cinema as a kid, I’ve always been around visual stuff; A generation who grew up visual. Astbury: A guy from the UK, doing an interview, informed me that people say I take it too seriously. There’s a time and place for comedy, but if it makes you feel uncomfortable, then I’m doing my job. Because that’s what it is, it’s trying to get some connection. Sometimes it isn’t comfortable. That’s the intention of the icon on the cover of the record. I created it. I art directed it. It’s my vision. I wanted to show that this is the way I feel. I feel like I’ve been out in the wilderness and I’ve come back now. I’m standing on the fringes of culture and saying this is where I am, this is where I’m at. I think a lot of people feel this way! Even young people, saying where do I fit in here? I have a 16 and 19 year-old. I watch them and they say that they don’t fit in and that this culture doesn’t speak to me. It’s proven by the kind of dystopian feeling of a displaced generation. It’s proven with things like the Hunger Games, identifying with that kind of motif where this young woman is fighting against an autocratic society and dystopian culture. It’s not the hero anymore it’s the heroine, it’s the young women coming up to the foreground. It’s the women who are the standing up at the front and being courageous. You see the images from Arab Spring from Egypt of the men protecting the women so they can speak. That’s powerful, powerful, stuff. These are symbols of our times and somebody has to be listening. I don’t know if it’s sustainable. I don’t know if we’ll make it to iPad 6. There’s a piece in the Atlantic monthly last issue talking about the disconnection through Facebook that we are incredibly lonely due to the lack of conversations. People don’t sit down and converse. We can all still talk about sport, celebrities, and films, but nothing in depth. Celebrity cultures is how people define themselves. Asked by Christina Teen Connection: You’ve been around since the 80’s, is it any different touring now than then? Astbury: Oh yeah! VERY DIFFERENT! The actual vehicles have changed dramatically. We travel in one bus rather than three. Our carbon footprint was probably bigger in the 80’s. Technology has changed as well, the environment. Lots of the venues we play in the 80’s are not here anymore. Asked by Christina Teen Connection: Where is your favorite place to tour? Astbury: I love going to Toronto, Montreal, Vancouver, Los Angeles, New York Tokyo, and Paris (any excuse). Really, I like most of it. It’s more like where do you not like going? There are a few venues where you’re like (whistles). Coming to the Toronto area is like coming home and London, I have family there. There are a few places that I really identify with. I’d love to play in India and Russia. There are two places I’d like to play in and soon because you never know when I may end up barefoot and robed. I could visualize that, but that’s a while away, perhaps another lifetime away. Thank you very much for the interview Ian! It was truly an experience! Next Next post: ShesConnected or Blissdom 2012? Lions, Tigers and Bears Oh My!